Delta North MLA Scott Hamilton was on Annacis Island last week to announce over $900,000 in funding for trades training. 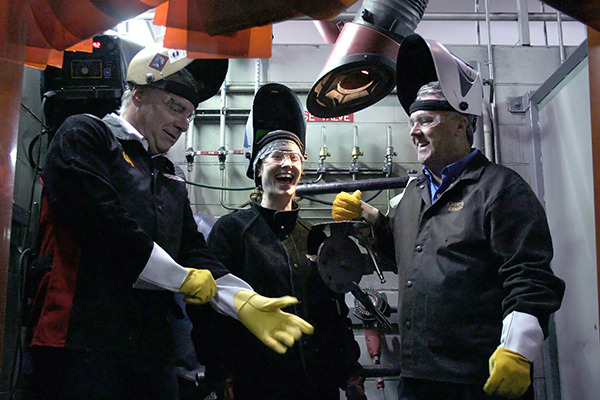 Hamilton was joined by Industry Training Authority (ITA) CEO Gary Herman and Al Phillips, executive director of apprenticeship and training at UA Piping Industry College of B.C. (UAPICBC), at the school’s Annacis Island campus on Oct. 7 to announce the provincial government’s $937,453 investment in trades training at the facility. The funding is part of the ITA’s annual allocation to B.C. post-secondary institutions and training providers to run various training programs throughout the province and will fund 451 seats through to March 31, 2017 in trades including welder, plumber, steamfitter/pipefitter and sprinkler system installer. 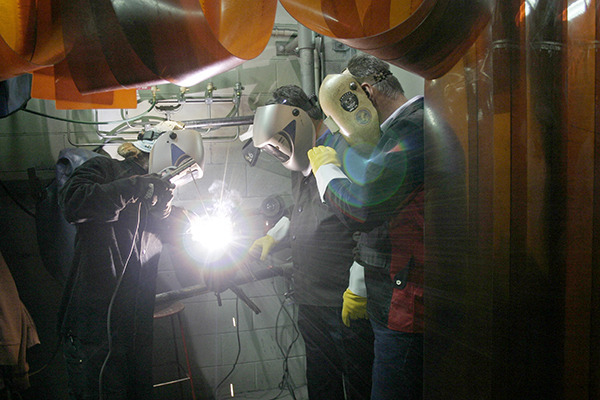 The ITA leads and co-ordinates B.C.’s skilled trades system by working with employers, employees, industry, labour, training providers and government to issue credentials, manage apprenticeships, set program standards for more than 100 training programs in the province, including nearly 50 Red Seal trades. With the province expecting up to one million job openings by 2025 due to retirements and economic growth, eight out of 10 of which will require post-secondary education or trades training, the B.C. government is investing more than $94 million annually in industry training through the ITA. “There is growing interest in trade careers across the province and the investment announced today will ensure British Columbians have the opportunity to access training in high-priority trades so that they are equipped with the right skills to respond to the job opportunities to come,” Herman said.